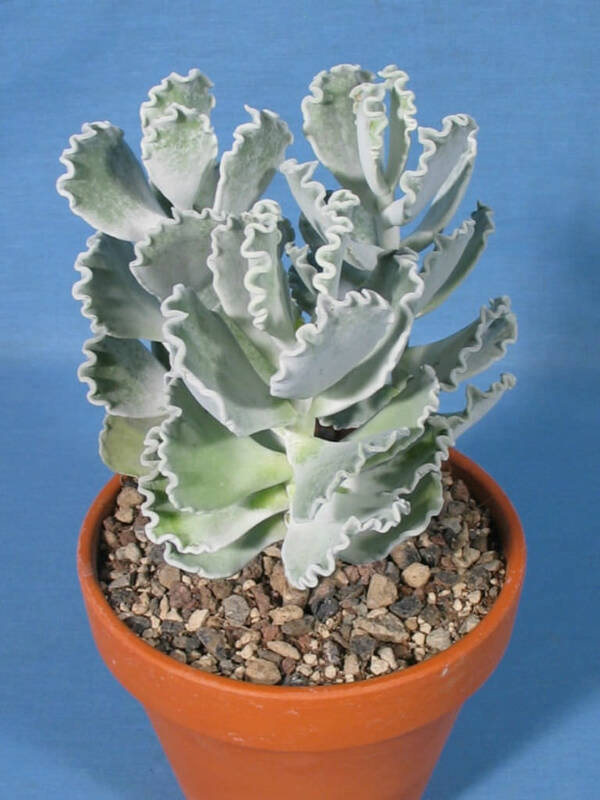 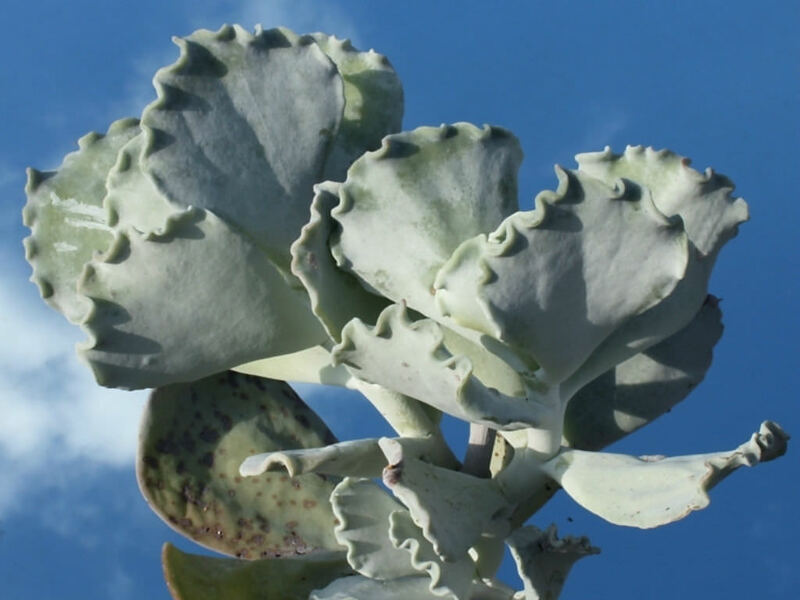 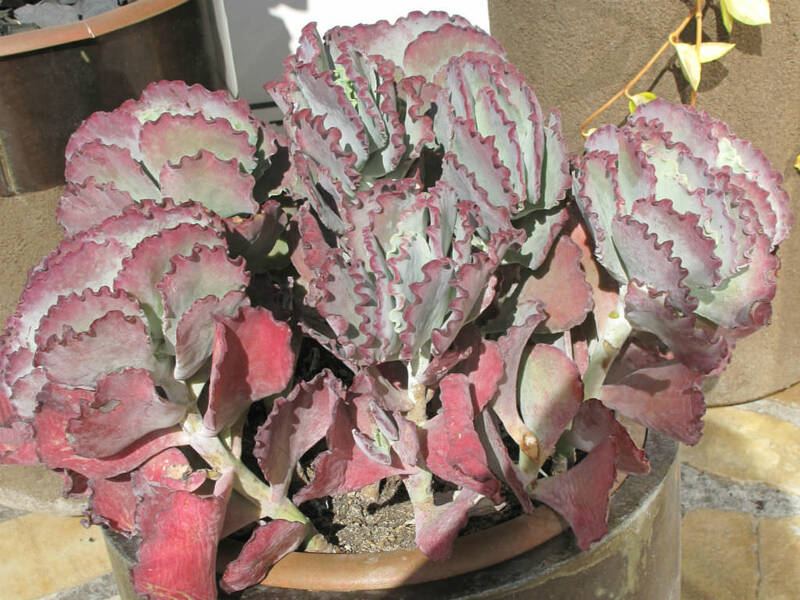 Cotyledon orbiculata ‘Mucronata’ is an upright, sparingly-branched succulent up to 2 feet (60 cm) tall, with very attractive, dumpling-shaped leaves. 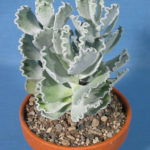 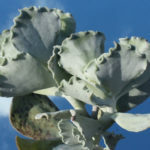 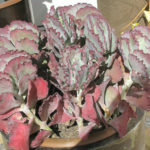 They are upwardly inclined and are tightly overlapped with all parts of the leaves covered with a white powder, likened by some to “icing sugar” and have strongly undulating flat margins. 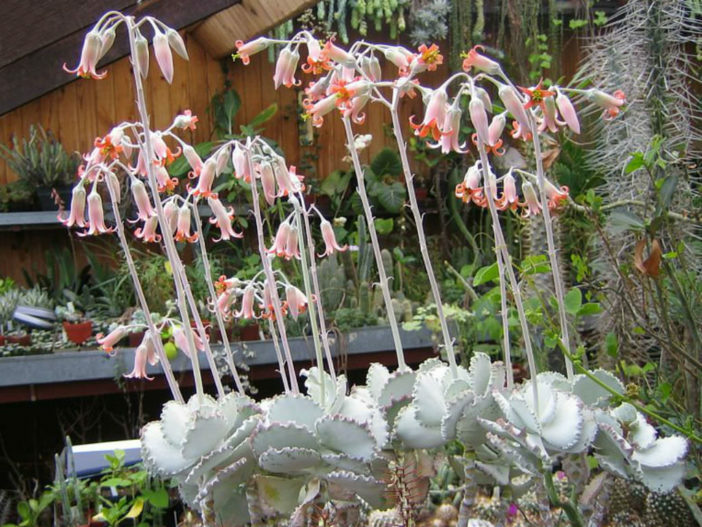 In summer appear up to 1 foot (30 cm) tall inflorescences topped with dangling reddish-orange flowers.